Many organisations see Kickstarter as a cost-effective way to raise funds and promote their products to a worldwide audience. But in reality, it can be a challenge to get noticed on Kickstarter and gain traction. 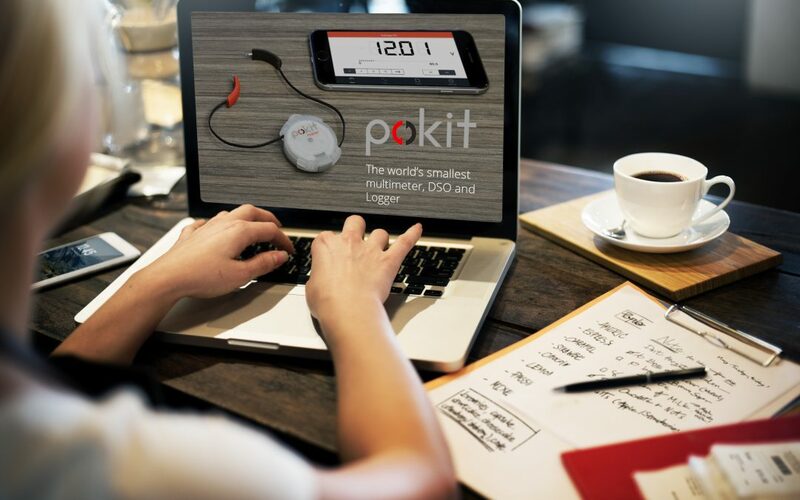 When our client Pokitmeter wanted some assistance with their Kickstarter campaign for a portable oscilloscope, multimeter and logger, they called on us to help. Working closely with the client, and in a very short timeframe, their extremely successful Kickstarter campaign ended up raising over $200,000. Here’s how we contributed to the campaign’s success. Social media. Posts were put up on LinkedIn, Twitter and Facebook and boosted to achieve maximum visibility. These achieved high click through rates of 53%, 64% and 70%. Social posting in groups. We signed up one of Pokitmeter’s team members to around 77 different groups that we identified as popular with their target audience (makers). We shared posts, comments and contributed to discussions within these groups. While we would normally recommend a longer timeframe, we were able to achieve excellent results in a single month – and given more time we could have added more groups. Blogs. Blog content was created and posted on to the Medium blog platform at a rate of one blog per week. Pre–launch promotions. Email pre-launch promotions were sent to backers along with updates throughout the campaign. Our campaign emails had an average open rate of 42.4%, far above the industry average of 20.87% according to MailChimp. Pokitmeter also ran Facebook Ads which contributed to a lot of the campaigns success. With this strategy we were able to reach many of the people in Pokitmeter’s target audience and engage with them on a deeper level. Many of those we reached then became backers and contributed financially to the campaign. We achieved an increase of 1200+ subscribers for Pokitmeter in just one month. This was thanks to a combination of social media posts and Facebook advertising. With those already brought on board by the Pokitmeter team, the total number of backers at the end of the campaign was 2,295. The campaign achieved four out of five stretch goals and earned a total of $227,981. Considering the initial goal was to raise $20,000, it’s fair to say that Pokitmeter was more than happy with the result! If you’d like to run a successful Kickstarter campaign, contact us to see how we can help.